Newly engaged and keen on making your wedding day the best day of your life? The Lone Star State warm and friendly atmosphere can serve as the perfect backdrop to every wedding. Couples from all over America are flocking to Austin,TX in search of their dream wedding and reception venue. 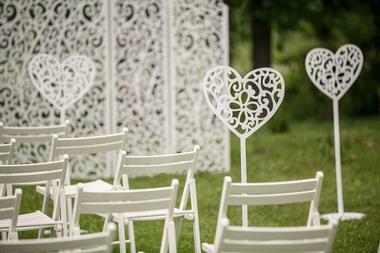 For many people who visit the Antebellum Oaks Venue, it’s love at first sight. With stunning views that will easily take your breath away, it’s no wonder that many couples rely on Antebellum Oaks to deliver the perfect nuptial experience. The venue features five acres of land at the nearby Hill Country, making it ideal for those who want to have an outdoor wedding. Couples can say their vows amidst lovely outdoor features such as rock-lined ponds, small waterfalls, majestic trees, and a granite path surrounding the area. 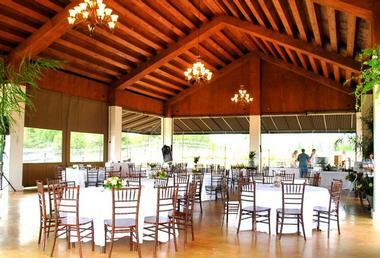 On the other hand, receptions can be held indoors at the Antebellum Oaks’ 4800 square food indoor reception hall. The hall itself has glass sliding doors for walls, allowing the wedding party and guests to continue enjoying the magnificent view. Additional amenities at Antebellum Oaks Venue include the 1800 square foot decked area, chair, table and linen rentals, a prep area for caterers, site management, and suitable parking. Simply put, the Barr Mansion and Artisan Ballroom is like a gift that just keeps giving. Part event center, part community center, a little bit supper club and even part farm, the Barr Mansion offers 6,000 square feet of space to plan your dream wedding. Plan an outdoor ceremony under the moonlight with fairy lights to set the mood, or enjoy an indoor ceremony in the 18th century Dutch barn-turned-event space at the Artisan Ballroom. No matter what you desire, the highly hospitable and well trained staff members are ready to make your dreams a reality. The venue places great importance on environmental sustainability and showcases this commitment through acres of lush, edible, and ornamental gardens. In addition to the Artisan Ballroom, the venue also offers use of the Farmstead, a newly built outdoor pavilion for a more rustic, barn-like feel. As the first certified organic special events venue in the country, the Barr Mansion and Artisan Ballroom also offers a farm-to-table menu using seasonal produce grown in house or sourced from local farmers. From your ideal backdrop to wedding feasts, the Kimpton Hotel Van Zandt works hard to execute your vision for the perfect wedding and has a blast doing it. With the understanding that different weddings call for different floor plans, the Kimpton Hotel Van Zandt offers several options for event space. Each floor plan plays to various preferences such as banquet seating, theater seating, receptions, and more. Do you have a custom configuration that you want for your reception? This hotel will find a way to make it happen. Apart from the various floor plans, the Kimpton Hotel Van Zandt has reception space that can fit up to 550 guests or banquet seating for up to 430 guests. Pre and post-function spaces are also available for couples who prefer to have their rehearsal dinner and actual reception in one venue. Have guests coming from near and far? The hotel also offers preferred group-block room rates to make sure that your guests have a comfortable place to stay without breaking the bank. Modern elegance meets rustic charm at the Brodie Homestead. Opened in 2014, the venue is located in Sunset Valley just a little way south of Austin’s downtown area. At the heart of the event center is the venue’s historic barn property, which was originally built in the 1940s. 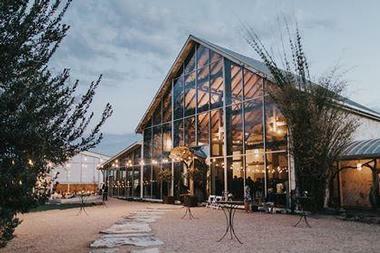 As a local landmark in the eyes of Austin natives, the barn was lovingly restored specifically for event use and is now a prime location for weddings, galas, and similar functions. Some of the most beloved features of the Brodie Homestead include the cathedral-like ceilings and stone walls, which were part of the original structure, six magnificent crystal chandeliers, and recycled maple gymnasium floors. Other areas of the barn have been repurposed to cater to venue needs such as the animal’s stalls turned restrooms and haylofts that have been converted into changing suites. Sitting at the edge of the Wizard Academy’s ancient walking trail, Chapel Dulcinea is an outdoor chapel known for its simple but charming design and location. 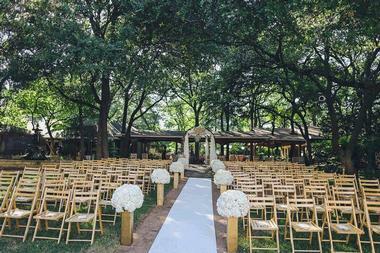 The small chapel offers spectacular vistas of Austin’s natural landscape and caters to couples who want small weddings. Hand-chiseled stone benches can seat 12 guests while the shaded area of the chapel can accommodate up to 50 guests. An extended patio area surrounding the chapel can also fit up to 100 standing guests. Holding firm to their belief that marriage is a celebration that shouldn’t have to cost a lot of money, Chapel Dulcinea offers the use of their venue free of charge. This is perfect for couples who want to keep their weddings intimate or those who may not have that large of a budget to work with. Couples simply need to schedule their preferred date and time ahead of time and register with the Welcome Center on the day of their wedding. It’s important to note, however, that Chapel Dulcinea has a strict no-show policy and requires a deposit to be given upon registration for a date. The fee is then returned on the day of the wedding. The epitome of romance and elegance in the heart of Downtown Austin, Chateau Bellevue is a welcoming venue that will turn your wedding into one your guests will definitely remember. Boasting a professional and personalized service, the Chateau Bellevue was originally built in 1874. It was later restored to better showcase the French Romanesque arches, the lovely courtyard grounds, and the magnificent ballroom that have played host to many grand events in the past. Outdoor wedding ceremonies are bound to be picturesque and breathtaking on the chateau’s brick patio. Meanwhile, an enchanting reception awaits with the mood set by extravagant chandeliers and ornate hand carved woodwork inside the chateau’s ballroom. 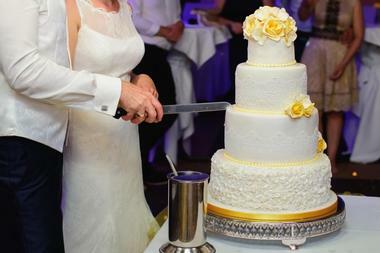 Whether you prefer a cocktail reception for 150 guests or a sit down dinner prepared fresh on-site, the Chateau Bellevue’s staff will work tirelessly to make sure that you celebrate your special day exactly the way you want it. Sitting on the banks of Lady Bird Lake, the Four Seasons hotel in Austin is without a doubt one of the more luxurious wedding venues in town. It offers one of the Hill Country’s best views, and couples can begin a new chapter in their love story surrounded by friends and family at the hotel’s beautiful back lawn. Just imagine reciting your vows under the veil of amazing Texas Heritage Oaks with the glistening waters of the lake as your backdrop. In addition to a gorgeous venue, the Four Seasons offers additional wedding services to make sure your special day goes off without a hitch. Couples who do not yet have a wedding planner can ask the help of a wedding professional at the Four Seasons. The menu and catering at the Four Seasons is another spectacular addition to the venue’s services with a talented and versatile catering team ready to bring the menu of your dreams to life. For couples who want an indoor reception, the Four Seasons has several ballrooms to choose from depending on the number of guests expected. Established at some point in 1893, Green Pastures has been the setting to many gatherings and celebrations for over 75 years. While the venue certainly has a rustic feel to it, there’s also a sense of wonder to Green Pastures with its thriving gardens, iconic architectural features, and the beautiful peacocks that roam the grounds. The unique setting has drawn many eager couples to the venue, which has played host to weddings, rehearsal dinners, and elegant parties for over three generations. Mattie’s, the restaurant at Green Pastures, offers rustic, farm-fresh American food, which is perfect for a true blue Austin wedding. The food can be served inside the original home for indoor wedding receptions or outside under the gorgeous live oaks for couples that want to enjoy the ambience outside. With the exciting addition of a hotel coming in the near future, Green Pastures offers the perfect one-stop venue and all the makings of an incredible wedding. 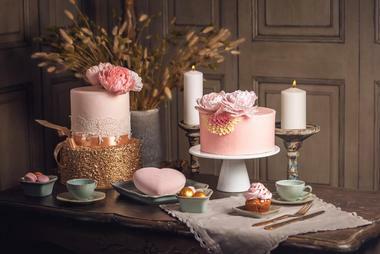 When it comes to wedding planning, every penny counts. With weddings getting more and more expensive, it’s become even more important for couples to find venues that offer bang-for-your-buck wedding packages and extensive amenities. House on the Hill has answered this need loud and clear, offering couples a destination wedding experience without having to leave the city. Towering oaks and a stunning waterfall come together to create the perfect backdrop for an outdoor wedding, while couples who prefer to get married indoors can have their ceremony at the elegant covered pavilion instead. The most popular package at House on the Hill is their weekend package, which allows couples to have their rehearsal, rehearsal dinner, wedding, and reception all in one venue for an all-inclusive package. Lodging is also available with a two night’s stay for 20 guests included in the weekend package. 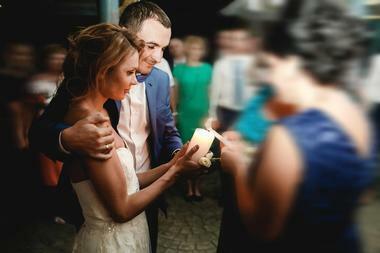 Couples who are looking for flexibility in their schedule will find a lot of freedom in this package as well, proving that it is possible to have your dream wedding and still stay within budget. First class amenities and services have made the InterContinental Stephen F. Austin one of the most popular wedding venues in the city. As an upscale 4-star hotel, the InterContinental has 190-rooms, approximately 6,000 square feet of event space, and four versatile ballrooms to cater to weddings of all sizes. 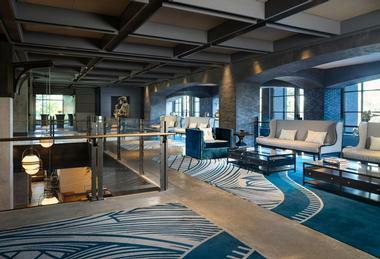 The hotel also features contemporary yet functional architecture that gives a distinct Texan feel to the venue. 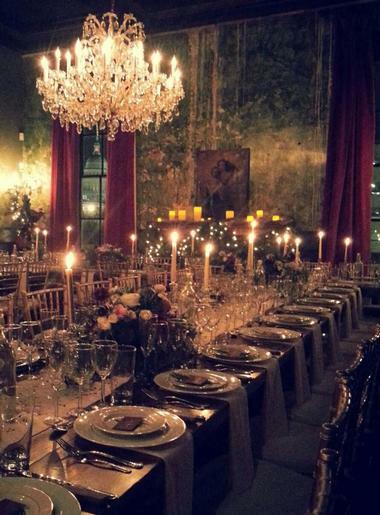 In contrast, the event spaces come as a black canvas, allowing couples to decorate the space as they please. Out of the four rooms available at the InterContinental, the Capital Ballroom is by far the largest and can accommodate 300 to 400 guests depending on the reception style. The Capital Ballroom also features a panoramic view of downtown Austin, making it the most scenic room of the lot. Meanwhile, smaller or more intimate reception parties can choose between the cozy 496-square foot Cloakroom or the 510-square foot State Boardroom. Mid-sized celebrations can opt for the Assembly Room, which has 1,100 square feet of event space and a maximum guest capacity of 100 for standing receptions. Whether you’re a couple searching for the perfect wedding and reception site or a wedding planner eager to find the location of your clients’ dreams, Mercury Hall’s event space provides a unique backdrop for any celebration. 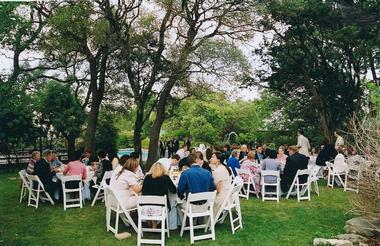 The venue is nestled on the peak of a secluded hilltop and exudes a Hill Country feel in the heart of downtown Austin. Historic structures built in 1904 and idyllic gardens also add to the quaint and rustic atmosphere of the event grounds, making it the ideal venue for a fairytale outdoor wedding. Whether you have your eye on the elegant and romantic century-old Hall or the four acres of manicured gardens and grounds, there’s plenty of room for customization at Mercury Hall. The grounds are also equipped with plenty of restrooms for guests, a gorgeous bridal dressing room, a newly renovated grooms room, and a well-stocked prep kitchen for catering companies. For couple’s who aren’t quite sure where to start, Mercury Hall also has a list of preferred and reliable vendors to help the planning process move along smoothly. Eager to make your wedding reception an event to remember? The Omni Hotels and Resorts provide clients with rooms easily customizable to create the reception of your dreams. From competitive room block rates to exceptional customer service, Omni Hotel is a great choice for both in and out-of-state brides and grooms. The hotel also has a wedding-dedicated team eager to help you make your special day memorable through prompt communication and thorough responses. 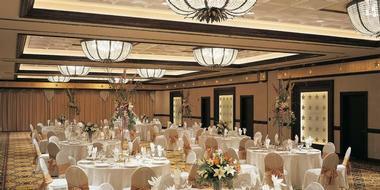 The Omni Ballroom can accommodate up to 250 guests. 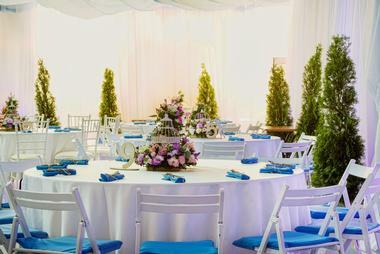 Elegant banquet facilities are also available with a catering staff that exceeds expectations. Other amenities at the Omni include a Bridal Suite, rentals and equipment, a heated swimming pool, spacious guest rooms, and a reception area. The Omni also runs frequent offers for wedding parties that come with complimentary honeymoon stays at one of their 14 premier resort destinations. 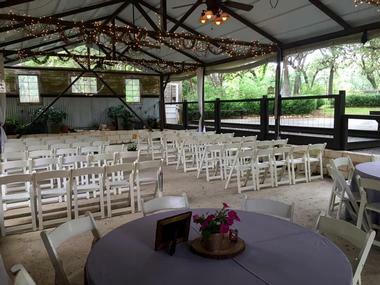 Situated just 15 minutes away from downtown Austin, the One World Theatre has been one of the top choices for weddings in Texas’ Hill Country for over 16 years. Gorgeous landscaping, incredible views, and magnificent architecture have and continue to draw brides from all over the country to the venue, while top notch services keep them happy. Apart from having a wide selection of venue and settings, the One World Theatre also offers several food and beverage packages as well as a band set up package for couples eager to have live music at their celebration. 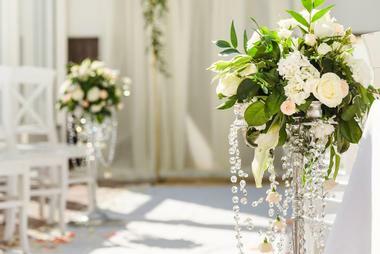 When it comes to picking the perfect setting for your wedding, it all boils down to whether you want an indoor or outdoor wedding. Couples can choose to have their ceremony and reception on the venue’s private rooftop and sunset decks for a whimsical afternoon celebration. On the other hand, the iconic theatre, tented Grand Piazza, and elegant Wedding Celebration Hall all make fantastic options for indoor or covered celebrations. Each of the locations are equipped with excellent acoustics and sprung wood dance floors for a night full of dancing and merriment. Eclectic, memorable, and chalk full of history, the Palazzo Lavaca has become a hub for the Austin community to gather, celebrate, and educate. With a strategic location in downtown Austin just two blocks from the Texas Capital, it has also become a top pick for couples looking for a striking backdrop for their nuptials. Renovated in 2008 by owner Giselle Koy, the Palazzo Lavaca exudes a venetian flair and pairs the outstanding interiors with exceptional service. Couples who choose to have their wedding or reception at the Palazzo Lavaca can enjoy five unique spaces within the venue. The Grand Ballroom is a fantastic choice for a sit-down reception with a stately Great Room providing extra space for mingling. The Violet Flame Bar is another elegant room in the palazzo where guests can enjoy some cocktails while the media lounge can serve whatever purpose the bride and groom desire. Meanwhile, the open-air courtyard makes a magnificent setting for intimate outdoor ceremonies. 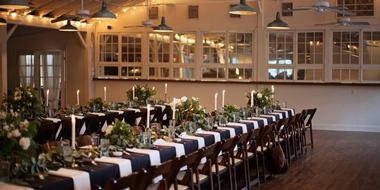 Looking for a cozy event space in downtown Austin that’s perfect for an intimate wedding? The Palm Door on Sabine is an urban loft venue with approximately 2,900 square feet combined indoor and outdoor spaces. The indoor area is perfect for an intimate seated dinner for up to 150 guests or up to 350 guests for a standing reception. It’s the perfect space to host all of your wedding events, including your ceremony, reception, rehearsal dinners, and more. What many love about the Palm Door on Sabine is how open the space feels despite being one of the smaller venues in the city. The open floor plan and 14-inch vaulted ceiling makes the venue very specious and encourages the mingling of guests. Meanwhile, the white walls and hardwood floors provide clients with a blank canvas to exercise some creativity in event design. Whether you’re going for a classic and elegant wedding, a rustic feel, or more modern ceremony, the Palm Door on Sabine is the perfect space to make it all happen. They say that everything is bigger and grander in Texas, and the saying certainly rings true when it comes to the Renaissance Austin Hotel. Located in the idyllic Texas Hill Country, this hotel features large and extravagant event space with a sophisticated design. Despite being so close to downtown Austin and other landmarks like the Austin Bergstrom International Airport, the Renaissance Austin Hotel provides a tranquil environment for the wedding ceremonies of husbands and wives to be. The hotel is also surrounded by nature trails, providing a sense of seclusion and intimacy for wedding parties. As one of the finest hotels in the city, the Renaissance Austin Hotel provides fantastic amenities for receptions like the dramatic nine-story atrium. For sit-down receptions, the Knotty Deck and Bar serves up impeccable fine dining and outstanding drinks to toast to the happy couple with. 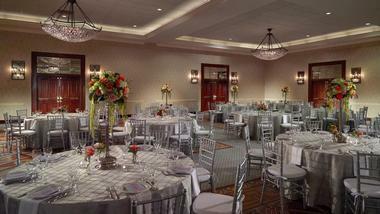 Event spaces at the hotel span over 65,000 square feet and are ready to accommodate large or small receptions. Out-of-city wedding parties can also enjoy the luxurious accommodations and hotel amenities for a memorable destination-type wedding. 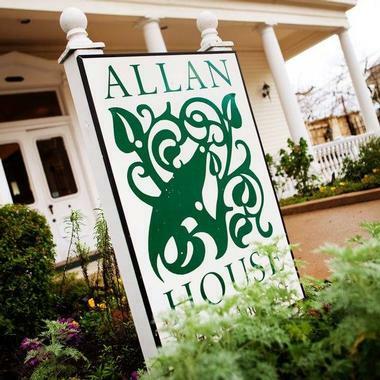 Filled with history and charm, the Allan House is a lovely Victorian home nestled in the heart of downtown Austin. Built in 1883, the space makes a spectacular venue for weddings no matter the time of year. Spring is particularly beautiful at the Allan House as the native Texas blossoms come into full bloom and the century-old oak trees are at their most vibrant. Fall and summer weddings are equally charming at the embellished grounds of the Allan House, and winter weddings are also magical. When asked when the house is at its most beautiful, however, the owners and staff insist that it’s every time the joy and goodwill of celebrations fill the home. To make wedding planning simple, the Allan House provides all clients with a list of reliable and professional vendors to help their celebrations go off without a hitch. The list includes caterers, coordinators, photographers, florists, and more. If you’re searching for a venue that will give you the perfect balance between classic elegance and the simplicity of nature, the Allan House is for you. It’s easy to pull off a one-of-a-kind wedding at venues like the Inn at Wild Rose Hall. Spanning across 4,100 square feet of hill country heaven, the inn was the former home of Tommy Shannon, Stevie Ray Vaughn’s bass player, and has been hosting weddings since 2008. This south Austin location is the perfect venue for relaxing and peaceful outdoor weddings with manicured gardens and towering trees, providing an ethereal canopy for the beautiful couple. Conveniently located just 20 minutes from Austin’s downtown area, the Inn at Wild Rose Hall provides a secluded and intimate location without having to travel too far from the city. Big or small wedding parties can be comfortably served at the inn, and the staff is always ready and eager to help you pull off the wedding of your dreams. Don’t forget to book early and to keep an eye out for special offers for an even more amazing experience at the venue. Imagine standing at a beautifully designed deck with your husband or wife to be. The sun begins to set as you say your vows with the magnificent Lake Travis serving as the perfect backdrop to such a momentous occasion. This is exactly what you can look forward to at the Oasis on Lake Travis. As a full service venue, the Oasis helps couples set the tone for their married life with a beautiful and captivating wedding ceremony and reception. From a wedding coordinator to a superb catering team, the Oasis is well versed in pulling off the most spectacular weddings. Wedding packages come with the use of the Oasis’ elegant Bride’s Suite, a spacious area for the bride to prepare for the day’s events. The room comes equipped with a large walk-in closet to store the dresses of the wedding party, a full restroom completely with a bathtub and shower, as well as a kitchen stocked with refreshments. Meanwhile, the husband-to-be can enjoy the use of the Groom’s Room with his best men. A bucket of beer and other complimentary refreshments are provided for the groomsmen’s enjoyment. 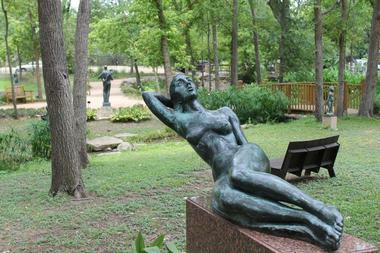 While the UMLAUF Sculpture Garden and Museum might not strike couples as the obvious choice for a wedding, it has played host to fabulously romantic weddings and has proven itself to be quite the hidden gem of Austin. The garden and museum features five stunning acres of space with eye catching bronze and stone sculptures scattered across the grounds. Romantic paths wind throughout the area, providing a quiet space for the bride and groom to enjoy. They can also serve as the perfect setting for a photo opportunity. Not to be forgotten are the serene ponds and babbling brook, which exude tranquility and beauty in the heart of the city. The garden is the perfect venue for an intimate and classically elegant reception with a capacity of up to 250 guests for a seated reception. On the other hand, the Arbor can accommodate up to 150 guests. Weddings held at the venue enjoy exclusive use of the terrace, lawns, arbor, gardens, and ceremony area in addition to the use of the Crenshaw Room, which can be used as the bridal suite. The venue also provides convenient parking and overflow parking areas for all of the wedding guests. Celebrate your day the way you want to at the picturesque Vintage Villas Boutique Hotel. Situated just 30-minutes from downtown Austin, this locally owned and managed boutique hotel is a beautiful venue at the mouth of Lake Travis, which gives a feeling of exclusivity thanks to its secluded location. Truly, couples to wed at the Vintage Villas Hotel are limited only by their imagination, as the exceptional facilities serve as a blank canvas for you to work with. Couples can exchange vows at the gazebo overlooking the incredible waters of Lake Travis or take a more traditional approach with a ceremony at the charming cathedral located within the hotel grounds. 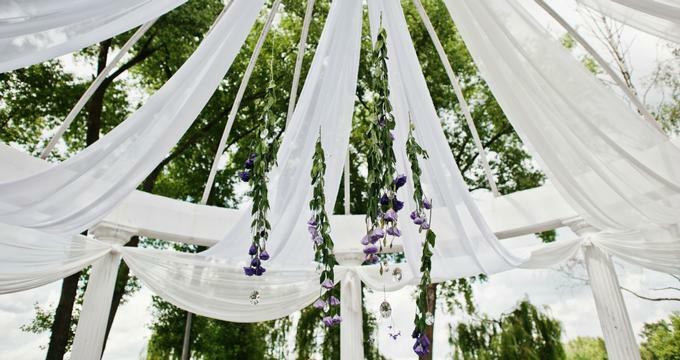 Landscaped grounds or the Arbor courtyard are equally beautiful locations for both a ceremony and a reception. No matter which part of the hotel you choose to celebrate your nuptials, there’s no doubt that absolute beauty will be captured in every single wedding photograph. The Vista on Seward Hill boasts several awards from the Austin wedding industry, so it’s not surprising that the venue has enjoyed a lot of positive attention and features in top publications like Austin Wedding Day, the Knot, Brides of Austin, and Austin’s Wedding Guide. While the beauty of the venue’s garden setting is undeniable, what truly makes The Vista such a desirable and award-winning venue is their versatility in planning and pulling off memorable weddings. Every wedding is given the utmost attention and the staff operates under the motto of endless possibilities and infinite ideas. The outcome of every wedding at the Vista on Seward Hill is perfection. Not only is the backdrop of each celebration breathtaking thanks to the hill country, the lawns exude a sense of natural whimsy with live oaks providing shade during the day and a canopy for lights in the evening. The Vista also has a full-featured banquet hall and a fountain decorated green spaces to be used as a venue for standing or seated receptions. Luxurious and largely regarded as the latest sensational destination in Austin’s downtown area, the W Hotel Austin is the perfect wedding venue for rock gods, indie hipsters, and soul men alike. Situated in the center of the Live Music Capital of the World, the W Hotel Austin features eclectic and modern designs all throughout the establishment with venues fit for larger-than-life personalities. There are seven event venues to choose from at the W Hotel with up to 10,500 square feet of space that can be utilized to plan the wedding your heart desires. A dedicated events team also works hard to transform each space according to your vision. Where the reception is concerned, the W Hotel boasts a fine tuned culinary team that strives to present meals that will wow all guests at your reception. A wedding specialist is also there to guide couples through every step of the planning process and to make sure that the bride and groom’s personality shines through all aspects of the celebration. 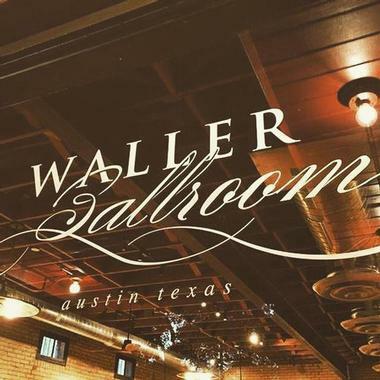 Built in the early 1900s, the Waller Ballroom is a multi-purpose event space situated along Waller Creek in downtown Austin’s historic district. The venue is absolutely charming and features an industrial vibe with the main ballroom still retaining its original brick and hardwood floors. Connected to the main ballroom is a balcony that overlooks that tranquil waters of the Waller Creek. As a whole, the 1,600 square feet of the ballroom provides the perfect blank canvas for couples to decorate and design as they see fit. The Waller Ballroom is capable of hosting a maximum of 120 guests for seated dinner receptions or 270 guests for standing receptions. Rentals are given in 10-hour blocks, though longer periods can be negotiated. Rental of the Waller Ballroom comes with the use of their in-house furniture, including 10 rustic Cartwright farm tables, 112 chairs, and 10 cocktail tables. 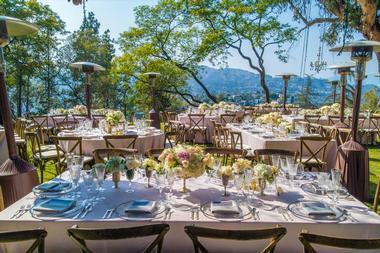 An on-site venue manager will also work closely with the couple’s planning team for the utmost efficiency.